“Oh, yes,” I assure myself. This does look like the “Life-Time” of one woman. 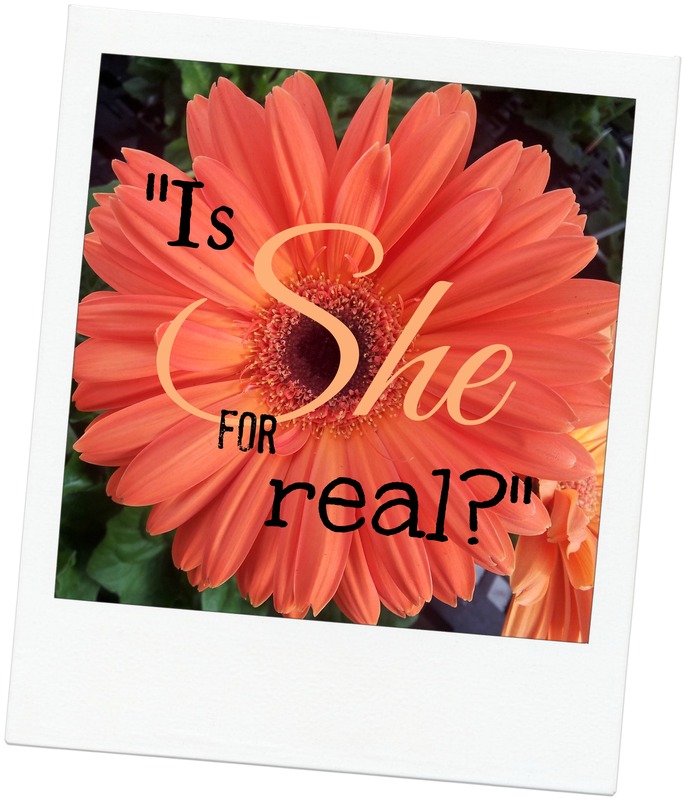 She was called to accomplish many special assignments over different seasons of her life. When I look back fifteen years ago, to my season of being a new mommy (Proverbs 1:27), I was knee deep in diapers and baby bottles. Three babies in 366 days…wow…my life consisted of baby, baby, husband, baby, housework…and very little sleep. I could not have managed one more thing, and the Lord knew that. He was with me through thick and thin. I cried out for Him over and over, and He answered me! In His silence, He answered. You see, God was “doing a work in me,” even when I couldn’t see it happening. God used those days to make me more aware of my need for him. This is transformation. In what looked like some of my darkest hours, that was where He changed me. That time in my life consisted of many hills and valleys. It was in the VALLEYS, not the hills, when I walked closest to Him. Today, at the age of 44, I watch over the affairs of my home (Proverbs 1:27), I sew (Proverbs 1:13, 22), I homeschool my children (Proverbs 1:26), and I manage a successful excavating company with my husband, near Milwaukee, Wisconsin (Proverbs 1:17-18). This season looks very different from the last. Now I ponder the thought of my teenagers leaving the nest. I imagine over the next five years assisting my aging parents and in-laws through some very difficult times. I love that God’s grace travels with me as I grow older. I love how He gently transformed me back then, to face the trials of today. And He continues in His transforming work right now. I challenge you today to reread Proverbs 31:10-31 today. See how your current season of life is different from your past season. 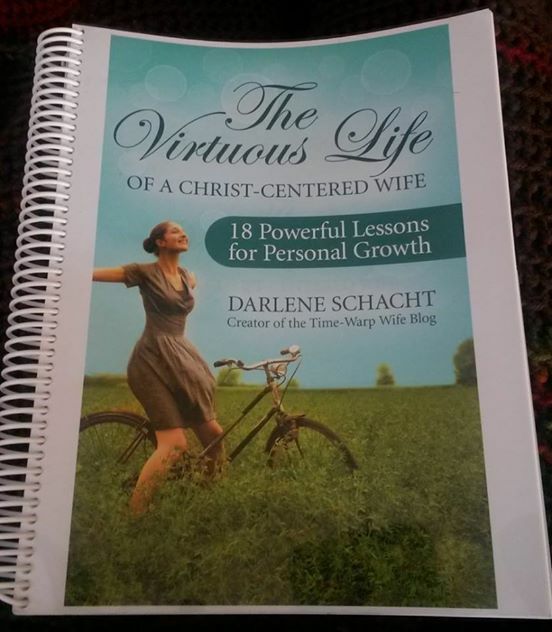 Jot down how your life parallels the Proverbs 31 Woman’s life, as I did in my above paragraph. Take some time this week to look around…. See if you can spot some Proverbs 31 Women in your life. They are out there, serving, loving, encouraging, in the quietest of places, drawing no attention to themselves. Below…I took a closer look at Proverbs 31: 10-31 and “broke-down” each verse in my own words. Choose today to live a life pleasing to God. 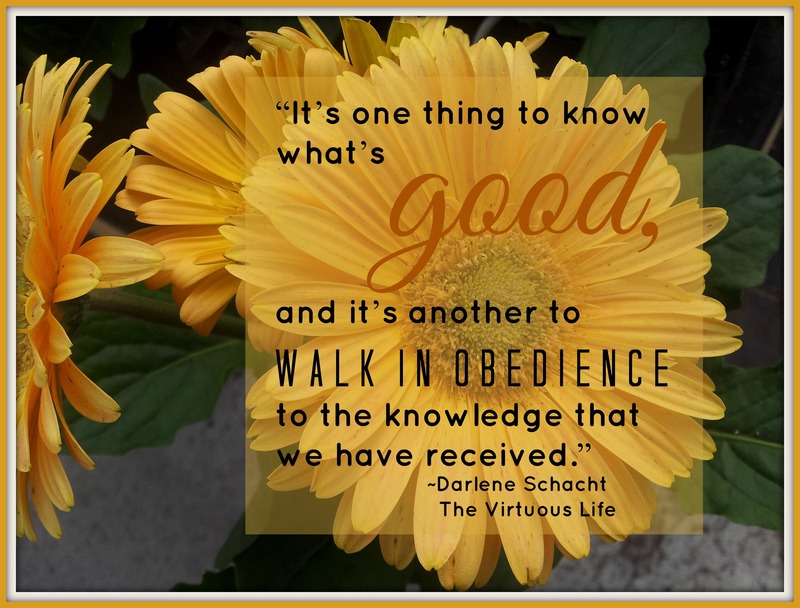 Grow in Virtue my dear sisters!! I am so excited to read this book. I think it is exactly what I need to get closer to The Lord and my husband. I want to encourage him, not tear him down. Which I know I do at times. I appreciated the part about when you fall, pick yourself up and get back in the race. I have never done an online book club before. It is hard to get together with friends to do a book club. I have 4 busy children and teach full time. I think this will be perfect for me. I am reading this, in Racine WI. SO greetings my neighbor! hehe I am actually reading and blogging through this book right now myself. Such a blessing to be able to read others journey. God is good! So glad to hear you are enjoying it.